They're not to keep you out, but to make sure you want it bad enough. They strengthen us. Without them, there would be no great successes! If wouldn’t be on your bucket list if it was easy! We just need a game plan to fight the monster we know is waiting for us. It's impossible to fight an unknown enemy. Define your enemy, your monster. No one can fight fog at night. So be clear in your mind about the obstacles you'll face, or they've already won. And remember, we don't just get through Obstacles. We Grow through them. We become stronger by dealing with them. The current One Thing on my bucket list involves Burning Man. Returning to the Playa for my 4th burn, I realize how hard it will be. Hard Physically, Hard Mentally, Spiritually Challenging. Every Day, All Day, Burning Man challenges you. Only the strong survive out in the dust storms. AND Thank God, it’s HARD! If it was easy and comfortable, it would be flooded with onlookers, not participants. Like Burners, Bucket Lifers are not spectators, we are Participants in Life. One way or another, we ADD to the show, not just watch from the sidelines! We face our challenges, our obstacles. And when we face our Obstacles, we come out stronger on the other side. We're Better for being Challenged! So we start by writing down our Probable Obstacles. Why? Because the scientific research shows us over and over that writing down goals and plans dramatically improves their chance of success. In an historic Scottish study, a psychologist was studying patients recovering from hip replacement surgery. She asked patients to fill in booklets with specific recovery plans. — Charles Duhigg’s "The Power of Habit"
She found that the patients who had written plans in their booklets had started walking almost twice as fast as the ones who had not. 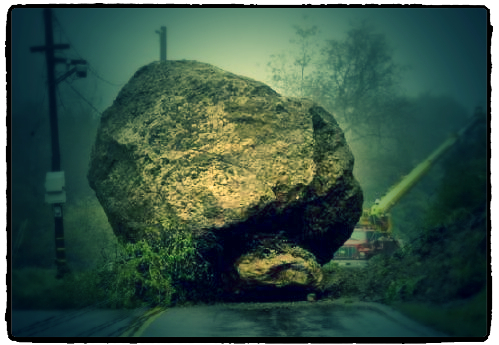 When the obstacles arose, they were ready and didn't get the wind knocked out of their progress. They focused on how patients would handle a specific moment of anticipated pain. Put another way, the patients’ plans were built around their expected pain—and thus the temptation to quit—would be strongest. The patients were telling themselves how they were going to make it over the hump. So Start on your Obstacles today! Try one of these methods to get started. Tim Ferriss, presents a counterbalance to Goal Setting. He calls it Fear Setting. Write down the worst things that could happen if you start following a dream. Write down what you could do to avoid these outcomes. What could I do to get back to where I am now if any of the bad things happen? Now, you can put your fears to rest a bit! Celestine Chua offers up a strategy for tackling obstacles. Pre-empt Obstacles so You Can Address Them! "Imagine that you are now pursuing your goal. What obstacles do you anticipate standing in your way of success? If you have pursued this goal in the past, what derailed you? Write all these obstacles down and rank them in order of magnitude. 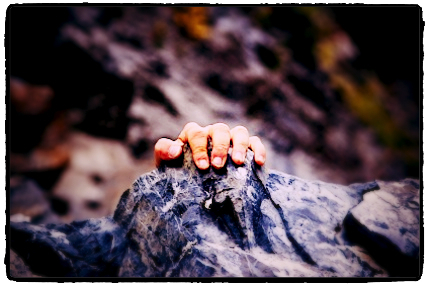 The bigger the obstacle is in diverting you from the goal, the higher the rank. From here, brainstorm on ways to Bust the Barriers. When you do this, you will have a set of ready solutions at your disposal when you face these obstacles later on. Instead of getting distracted in the middle of your goal pursuit to troubleshoot those barriers, you can easily brush them aside with the solutions you have developed. For example, when I was working out my strategy to lose weight, if I were to start eating a doughnut, it would set off the trigger to break out within the confines of my diet. I addressed the issue by staying away from doughnut shops, refusing doughnut offers from friends, telling my mom to stop buying donuts home." Hopefully, the advice from those two great writers sinks in! Write down the one major obstacle keeping you from the number one thing on your bucket list. Now, we can create a plan to deal with it! When we can Define it, we can Beat it! What is the one Obstacle keeping you from living your Bucket List Life? Tell me below!